Mark Brostrom received his Bachelor of Science in Mechanical Engineering from the University of Alberta in 1984 and worked in the private sector prior to joining the City of Edmonton in 1990. Since joining the City of Edmonton in 1990 Mark has worked in the area of environmental and energy policy and programs. 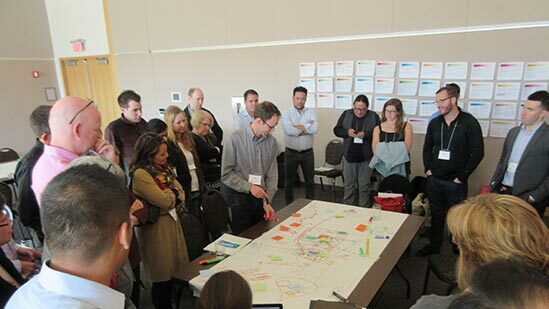 Mark is currently leading the development of Edmonton’s Community Energy Transition Strategy that provides a framework for Edmonton to become a low carbon and energy resilient city. In 2010, Mark received the FCM Sustainable Community Award of Excellence and in 2013 received the Queen’s Diamond Jubilee Medal for his long-standing commitment to advancing municipal sustainability. Want to learn more about Mark’s work with the Energy Futures Lab? There's really no silver-bullet solution to this. The net-zero homes, the net-zero buildings, that's one element, but there are all sorts of other aspects to deal with.